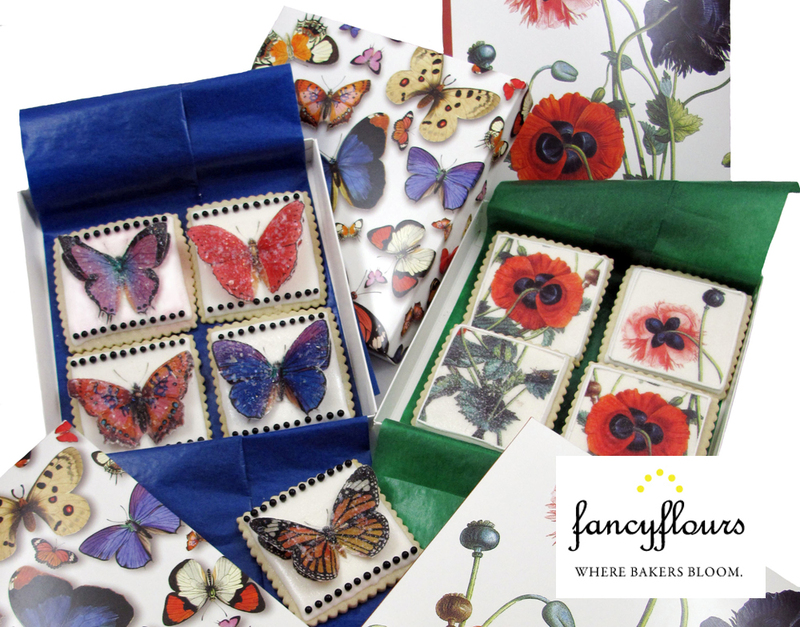 This entry was posted in Cookie Recipes & Ideas, Spring Baking and tagged butterfly, candy box, edible glitter, fancy flours, fancyflours, flowers, poppies, poppy, sugar pearl, wafer paper by Fancy Flours. Bookmark the permalink. Is it possible to purchase just the poppy wafers? Hi Patti – We are sorry, but unfortunately you can not since they are only sold as sets. 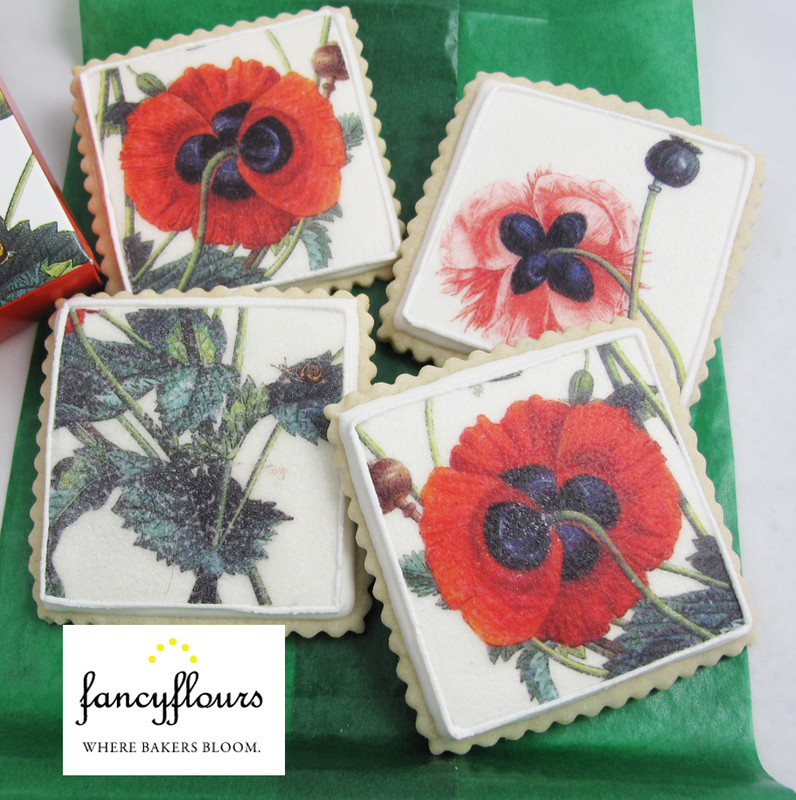 We do however have the matching Poppy Candy Boxes on sale for $1 right now. These are beautiful! 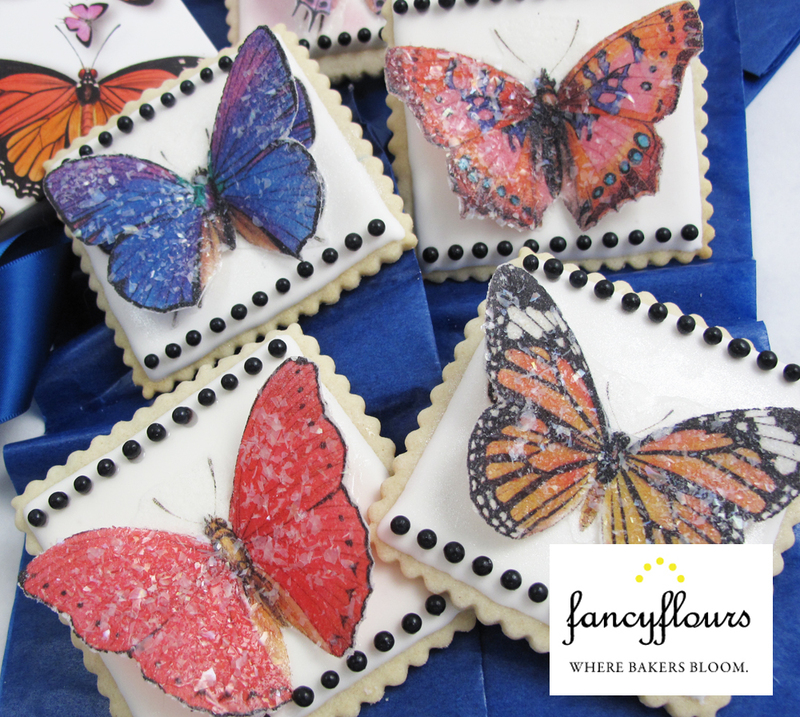 How long ahead of timne can I attach the butterflies to a fondat cake? I am making my son’s wedding cake and want to attach them the day before the ceremony. I am so sorry that I didn’t notice your message sooner. We have been crazy busy around here so I apologize. You can attach them the day before and they will be just fine. Make sure to store the cake in a dry place though or the wafer paper will not hold its shape as well.